One useful path to personal self-improvement is through keeping a personal diary or a journal. But this approach requires journal writing to become a habit, and that’s why starting October 1st, EasyJournaling.com will host a free 30-Day Digital Journaling Challenge for both new and veteran journal keepers. The 30-Day Challenge will feature daily journal prompts and tips from leading online journaling coaches, as well as numerous participant drawings for books about journal writing. The Challenge is also co-sponsored by digital app developers and websites— the popular iOS and Mac, Day One Keep a Digital Diary with Day One for Mac OS X and iOS Keep a Digital Diary with Day One for Mac OS X and iOS Everyone has a story to tell. It's not always a story in need of an audience, sometimes a story just needs to be told. You may want to continue the journal you started when you... Read More , Writr, Life Journal, Heyday, the online and Android app, Diaro Keep A Beautiful, Orderly, and Private Journal Of Your Thoughts and Days With Diaro For Android Keep A Beautiful, Orderly, and Private Journal Of Your Thoughts and Days With Diaro For Android Keeping a personal journal can often help us make sense of the difficult times in our lives, or better remember the good times. If you're carrying around a smartphone, you already have a powerful and... Read More , and Journal for Health. Because it “forces” people to spend time on themselves; it’s free, quality self-care, self-reflection and self-healing time. It helps them understand all the aspects of their inner life: psychological, spiritual and physical. It helps them transform their thought and behavior patterns. There are no and right wrong ways to keep a journal, but journaling for self-improvement makes it more purposeful. As a journal keeper, on and off for 30 years, I’ve used the reflective writing to process and to deal with all sorts of life’s challenging — from coping with the death of my father, recording my traveling experiences in Ghana, West Africa, to writing to make sense of my poor sleep habits. As a reality check, a whiteboard, a deep dive, a friend in need, Drano, a success coach, an incubator,” and much more. The three words I often use are: PASSION (re-igniting the love for people and things in life you care about), CLARITY (getting valuable insight into life’s difficult situations, and being sure about who you are and what you want) and PURPOSE (remembering and aligning with your higher values). 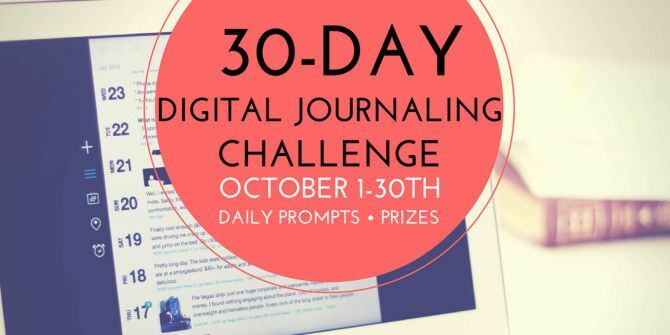 The 30-Day Digital Journaling Challenge is open to all journal writers, but it’s particularly challenges participants to try digital journaling instead of traditional pen and paper journaling. Digital journaling provides great benefits over paper notebook journaling: most notably, better security because good journaling software and online journal applications can be password protected; the ability to access your journals across platforms (online, computer and mobile devices); and a digital journal can more easily be backup and archived, both in the cloud and on a hard drive. 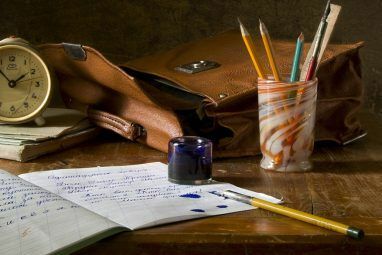 See our beginner’s guide to digital journaling The Beginner's Guide to Digital Journaling The Beginner's Guide to Digital Journaling Maintaining a private journal is a great way to build your writing skills, spill out your thoughts, desires, worries, and reflections on paper. The very act of writing itself can often help you think through... Read More and the apps and services listed above for more suggestions about getting started. To participate in the Challenge, sign up on 30-Day Digital Journaling Challenge page. You will receive a welcome email, and from October 1-30th, you will receive a daily newsletter that includes a primary and alternate journal prompt to respond to. The prompts are for inspiration purposes. You are not required to respond to the prompts in order to participate in the Challenge. You are invited to selectively share your journal entries for the month via your blog, social network site, or other tools such as the online public journaling site, Doccler.com. Details about joining the 30-Day Challenge Facebook page will appear in the newsletters. Regular journal keeping is similar to developing any acquired habit Kickstart Life Changing Habits With One of These iPhone Apps Kickstart Life Changing Habits With One of These iPhone Apps Forming good lifestyle habits is key to better personal health and productivity. Some we cultivate while growing up, others are harder to achieve without commitment – and your iPhone can help. Read More . You need a plan to encourage yourself to do it. When signing up for the 30-Day Challenge, be sure to provide an email address that you check everyday. If need be, use a reminders application or calendar on your computer or mobile device to check for the daily journal prompt newsletters. Try to set aside a specific time each day to do your journal writing, especially when there are less distractions, and you can allow yourself at least 10 minutes of writing time. Announcing your participation in the Challenge on your Facebook or other social network account might also be a useful motivation strategy. The 30-Day Digital Journaling Challenge is being designed so that you can start and finish it at any time, after you register to receive the daily newsletters. Beyond the Challenge, we provide some tips on daily journal writing How To Keep Writing Daily Journal Or Diary Entries For A Year How To Keep Writing Daily Journal Or Diary Entries For A Year The start of a new year is a great time to begin keeping a journal or diary, but the challenge lies in keeping up your new daily journal writing habit. Read More , and additional tips for Day One journal users Power Up Your Journal Writing With These Day One Tips Power Up Your Journal Writing With These Day One Tips Journal or diary writing is a great way to exercise and improve your writing skills, document what is going on in your life, and to stay in tune with your thoughts and feelings. Read More . You can also design your own journal challenges simply by choosing a topic(s) or a project(s) to journal about on a regular basis. For example, I’ve been keeping journal entries about the book I’ve been writing for the last several months. I have also marked dates on my calendar to remind me to journal about various topics, like family birthdays, my bucket list, areas of personal growth etc. Mari McCarthy through her website, CreateWriteNow, as well as other participating journal coaches, also provide online journaling workshops, such as the The 27 Days of Journaling to Health and Happiness Course. And the site, The Art Of Manliness, has posted a set of 31 journal prompts that could be used for a self-challenge and daily responses. Last year I participated in the Kaizen Journaling 30-Day Challenge, hosted by Dolly Garland. I discovered that responding to her daily prompts encouraged me to write about topics I normally would not have explored in my journal. Dolly is also one of 17 co-sponsoring journal coaches for the upcoming challenge. Each coach will share at least two prompts and provide copies of their books or coaching services as prizes. After you complete the challenge, you might consider exporting your entries and self-publishing them as a PDF document or even as an actual book Why And How You Should Self-Publish Your Diary Or Journal Why And How You Should Self-Publish Your Diary Or Journal Do you keep a journal or diary on one of the several online life logs? You might be interested in publishing your thoughts in form of a book. 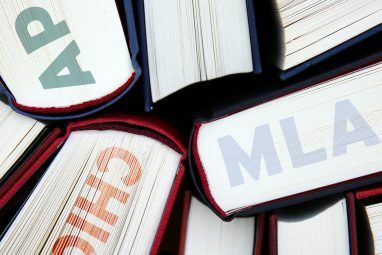 Self-publishing is easier than you think Read More . Let us know if you plan to participate in the 30-Day Digital Journaling Challenge, and what you look forward to getting out of it. Are there any other digital journaling challenges we should know about? Do you keep a digital journal? How did you start the habit, and what tips can you pass on to journaling beginners today? Thanks for this great post! Journaling with prompts will be much easier, and that's why we develop loop journal. With 365 prompts throughout the entire year to guide users' thoughts, users will be surprised to see how they've developed or changed over the years. If you are interested in reviewing Loop Journal, we would love to provide some promo codes. Very much agree, Loop Journal. Journaling definitely makes you more self-aware. Thanks for your feedback. Thanks for this post. I have been thinking of being more creative and write my ideas down and stuff but have never really started. Also I see how this can help me "re-evaluate" the way my day went and stuff.. Great challenge! Robby, thanks for your feedback. You definitely understand the power of journaling. We're looking forward to your participation. Great work, Bakari, being one of the organisers for this challenge. Journaling should be encouraged, as I believe many people don't know how useful it could be, and would discover it for themselves if only they tried it. Dolly, thanks for your feedback. Your journaling challenge inspired this one. I'm looking foreword to what people are going to get out of it. Thanks Bakari for a wonderful recap of the Digital Journaling Challenge. The 30-Day Free prompts start when you sign up at http://www.EasyJournaling.com/30DayChallenge. It's been great co-organizing with you. And I am looking forward to more events like this to promote the health and other benefits of journal-writing. Nathan, thank you for organizing this event. This Challenge will definitely inspire people try to digital journaling. One of the benefits of journaling I have noticed in myself is that it has helped me become more mature. Rethinking my experiences, I feel I could have handled a specific situation better. It gives a time delayed perspective and you will see how naive you were back then, and how you have grown up. Hey Saikat, thanks for signing up for the Challenge. I think you will like the journaling prompts, and will get a lot out of the experience. Let us know what you think of the challenge when it's over, and what we could do to improve it next time.